Mariner House Hideaway is a studio apartment located in the heart of Grand Marais. Mariner House Highpoint is a cozy home located near the heart of Grand Marais, MN. 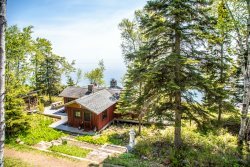 Northern Lights Cottage is a cozy cabin nestled near the quaint lakeside town of Grand Marais, MN.